« ‘Archaeological Bibliography’ is setting new standards: 14445 links to full texts now! 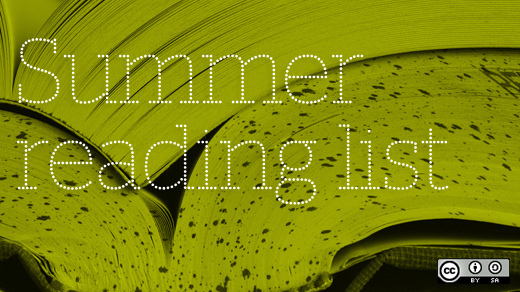 2961 new titles in June. Your Research and publication is going on in summer, and Dyabola is continuing to provide you with indications of brand-new bibliography. We have evaluated 148 new monographs and 88 new volumes of periodicals in the last weeks, gaining 2342 new titles for the “Archaeological Bibliography”. You will find the list of new monographs (also in pdf) and periodicals below as ever. The “Archäologische Bibliographie” is updated at the end of every week – even in summer, in order to keep you even more up to date with the new archaeological and classical bibliography. You may check the date of the last upadte on the “list of databases”. A companion to Mediterranean history. (Malden Mass., Wiley-Blackwell, 2014), ed. Horden, P.; Kinoshita, H.
Archeologia e città. Riflessione sulla valorizzazione dei siti archeologici in aree urbane. (Roma, Palombi, 2012), ed. Ancona, A.; Contino, A.; Sebastiani, R.
Architectures urbaines. Formes et temps. Mélanges offerts à Pierre Pinon. (Paris, Picard, 2014), ed. Lambert-Bresson, M.
Atlante tematico di topografia antica. Atta 23. (Roma, L’Erma di Bretschneider, 2009), ed. Quilici, L.; Quilici Gigli, S.
Attikon…kéramon. Veder greco a Camarina dal principe di Biscari ai nostri giorni, 3. [Atti del convegno internazionale di studi “Veder greco a Camarina”, Catania, Vittoria, Camarina, Ragusa, Siracusa, 11-14 giugno 2008. (Catania, Università di Catania, 2014), ed. Giudice, E.; Muscolino, F.; Chiarello, G.S. De la estructura doméstica al espacio social. Lecturas arqueológicas del uso social del espacio. (Alicante, Universidad de Alicante, 2013), ed. Gutiérrez Lloret, S.; Grau Mira, I.
El marmor en Hispania. Explotación, uso y difusión en época romana. (Madrid, Universidad nacional de educación a distancia, 2012), ed. García-Entero, V.
Encyclopaedism from antiquity to the Renaissance. (Cambridge, Cambridge University Press, 2013), ed. König, J.; Woolf, G.
Frassinetti, P.: Pagine sull’Octavia. Bibliografia dell’autore. (Genova, Tilgher, 2011), ed. Di Salvo, L.
Gli Etruschi e il Mediterraneo. La città di Cerveteri. [Mostra Lens, 5 dicembre 2013 – 10 marzo 2014, Roma 15 aprile – 20 luglio 2014](Lens, Musée du Louvre, 2013), ed. Gaultier, F.; Haumesser, L.
Historica et philologica. Studi in onore di Raimondo Turtas. (Cagliari, AMeD edizioni, 2012), ed. Sanna, M.G. La dilapidation de l’antiquité au XIXe siècle. Aliénations illicites, dépenses excessives et gaspillage des biens et des ressources à caractère public. (Dijon 2014), ed. Lemesle, B.; Clouzot, M.; Le Page, D.
La nave greca arcaica di Gela dallo scavo al recupero. (Palermo, Regione Sicilia, 2012), ed. Vullo, D.
La Sardegna di Thomas Ashby. Paesaggi, archeologia, comunità. Fotografie 1912. (Sassari, Delfino, 2014), ed. Manca di Mores, G.
La transition néolithique en Méditerranée. Actes du colloque “Transitions en Méditerranée, ou comment des chasseurs devinrent agriculteurs”. Muséum de Toulouse, 14-15 avril 2011. (Arles, Errance, 2014), ed. Manen, C.; Perrin, T.; Guilaine, J.
L’area archeologica di Fiesole. Conservazione della memoria e innovazioni per la fruizione. (Firenze, Polistampa, 2014), ed. Sabelli, R.
Le epigrafi della Valle di Comino. Atti del Decimo convegno epigrafico cominese. Sora, Abbazia di S. Domenico, sala “Riccardo Courrier”, sabato 1 giugno 2013. (San Donato Val di Comino, Associazione Genesi, 2014), ed. Solin, H.
Les Etrusques et la Méditerranée. La cité de Cerveteri. [Lens, musée du Louvre-Lens, 5 décembre 2013 – 10 mars 2014. Rome, Palais des Expositions, 14 avril – 20 juillet 2014](Lens, Somogy, 2013), ed. Gaultier, F.; Haumesser, L.
Livy and intertexuality. Papers of a conference held at the University of Texas at Austin, October 3, 2009. (Trier, Wissenschaftlicher Verlag Trier, 2009), ed. Polleichtner, W.
Memory of the past and its utility. State society identity. (Roma, Scienze e Lettere, 2014), ed. Nakai, Y.; Carafa, P.
Monte Vairano. L’edificio B e la cisterna. (Campobasso, Palladino, 2013), ed. De Benedittis, G.
Raubgräber-Grabräuber. Begleitschrift zur Sonderausstellung des Landesmuseums Natur und Mensch Oldenburg vom 11. Mai bis zum 8. September 2013. (Mainz, Nünnerich-Asmus Verlag, 2013), ed. Becker, P.R. ; Wawrzinek, C.
Storia di Como. Dalla Romanizzazione alla caduta dell’Impero (196 a.C. – 476 d.C.), 1. Tomo secondo. (Como, Storia di Como s.r.l., 2013), ed. Luraschi, G.
Storia, civiltà e religione in Italia. Studi in occasione del 150ø anniversario dell’Unità nazionale. (Milano, Vita e pensiero, 2014), ed. Bianchi, A. The Oxford handbook of European bronze age. (Oxford, Oxford University Press, 2013), ed. Fokkens, H.; Harding, A. The Oxford handbook of the archaeology of death and burial. (Oxford, Oxford University Press, 2013), ed. Tarlow, S.; Stutz, L.N. The Oxyrhynchus papyri, 79. (London, The Egypt Exploration Society, 2014), ed. Henry, W.B; Parsons, P.J. The Roman paratext. Frame, texts, readers. (Cambridge, Cambridge University Press, 2014), ed. Jansen, L.
Violence and civilization. Studies of social violence in history and prehistory. (Oxford, Oxbow, 2014), ed. Campbell, R.
This entry was posted on August 11, 2014 at 15:58 and is filed under Archäologische Bibliographie, Projekt Dyabola, Update Announcements. You can follow any responses to this entry through the RSS 2.0 feed. Both comments and pings are currently closed.